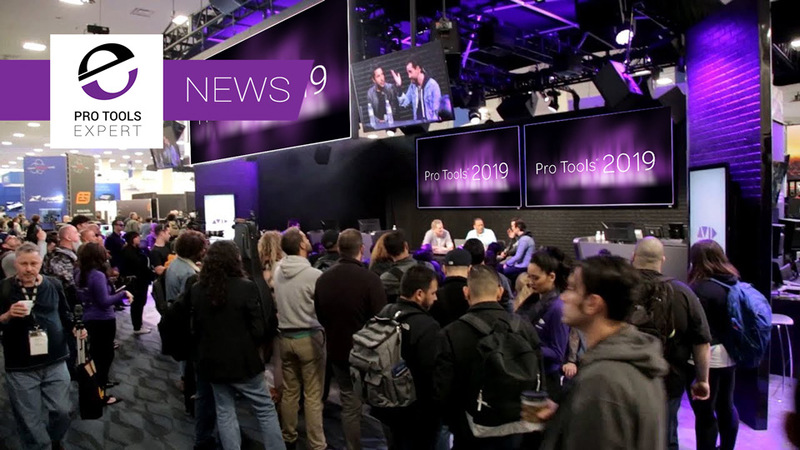 At their Namm booth this year, Avid are showing the next version of Pro Tools, which Avid say is “coming soon”, but we understand that the exact release date is yet to be set. Get up to 1152 voices with Pro Tools Ultimate - The maximum number of voices (or maximum number of tracks at 48K sample rate) for a Pro Tools Ultimate system is going up from 768 to 1152. 384 Voices For All Pro Tools Ultimate Users - To clarify, in this new version of Pro Tools, the base voice limit for all Pro Tool Ultimate systems (software stand-alone, HD Native, and HDX) is being increased to 384 voices. This will enable you to scale your systems as needed for the most complex projects to playback in multiple rooms, enhancing Audio Post workflows. For HDX Users - If you an HDX owner then with this new version of Pro Tools the maximum number of simultaneous audio tracks for each HDX card will go up from 256 to 384. If you have an HDX3 system that will bring the maximum number of simultaneous audio tracks to 1152. There will be no extra charge for HDX users. The voice count is dependent on the number of HDX cards you have. If you have 1 card you will get 384 voices, 2 HDX cards will give you 768 voices and 3 HDX cards will give you 1152 voices. For Pro Tools Ultimate Standalone Software Users - If you are a standalone Pro Tools Ultimate software owner you will get 384 voices with the new version of Pro Tools when it is released, up from the current maximum of 256 voices. If you need more voices then you will be able to purchase ‘voice packs’. Each voice pack will increase your maximum number of simultaneous audio tracks in blocks of 128 voices. We understand that there will be options for both perpetual and subscription (rental) users and that users with a perpetual license will be able to rent a voice pack enabling you to increase the track count of a system for a period of time to say handle a large job and then drop back to the normal track count at the end of the voice pack rental period. Experiment and edit with seamless playback - With this next version of Pro Tools you will be able to add plug-ins, change loop duration, and make other timeline and track changes, without Pro Tools stopping and breaking your creative flow. This is great news and something users have been asking for, for a long time. We can’t wait for this feature is will mean that Pro Tools won’t stop when you want to make changes. Double your MIDI track count - If you are a heavy MIDI user in Pro Tools for composition work, then with this next version of Pro Tools, you will have double the number of MIDI tracks available, up from 512 to 1024 enabling you to create colossal, richly orchestrated pieces all within Pro Tools. Gain full monitoring control with Pro Tools Control - With the next version of Pro Tools you will be able to control any EUCON-enabled monitoring system, including Pro Tools MTRX, XMON, monitor sources in Pro Tools, right from your iPad. This will mean that you can do so much more with just an iPad and the free Pro Tools Control app. If you have an S6 and you are away from the console, as long as you have your iPad within reach, you will be able to control your EUCON-enabled monitoring system. Get to the tracks you need faster on a control surface - There will be some new Eucon features added in the next version of Pro Tools. Avid are adding “Scroll to Track” and “Scroll into View” features in the Eucon protocols making it even easier to scroll around Pro Tools windows and bank your Eucon enabled control surface accordingly. Greg from Avid live from the NAMM 2019 show floor has stated on camera that this upcoming Pro Tools 2019 will be compatible with macOS Mojave. Check out the edited highlights video we have. If you are at NAMM then get down to the Avid booth and check out these features for yourself. If you can’t get to NAMM then check out the Main Stage schedule as Avid are streaming all the Main Stage events on the new Avid Link app. Will these new features help you in your workflows? Do share your thoughts in the comments below.